I haven’t seen my friend M in a few months and its been just as long since I’ve ventured into her neighborhood of Bloor West Village. Upon her recommendation, we decided to hit a up Baka Gallery Cafe, a local cafe serving not only the typical coffee and pastries but also breakfast, lunch and dinner. 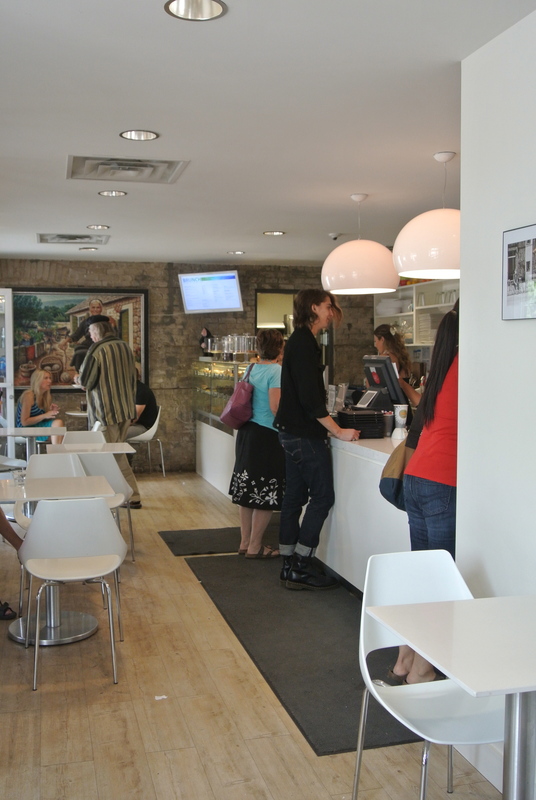 A modern, white space inside with a good sized patio and a second floor dining room with a bar, it was a busy afternoon with the cafe full of customers. When I first walked in I noticed the cafe was open to mobile phone store attached to the front of the cafe – apparently its owned by the Baka Mobile store. I ordered an iced latte and the sausage bagel, one of their three breakfast entrees. You can’t see the sausage patty in the photo, dwarfed by the fried egg resting on top, but its there. 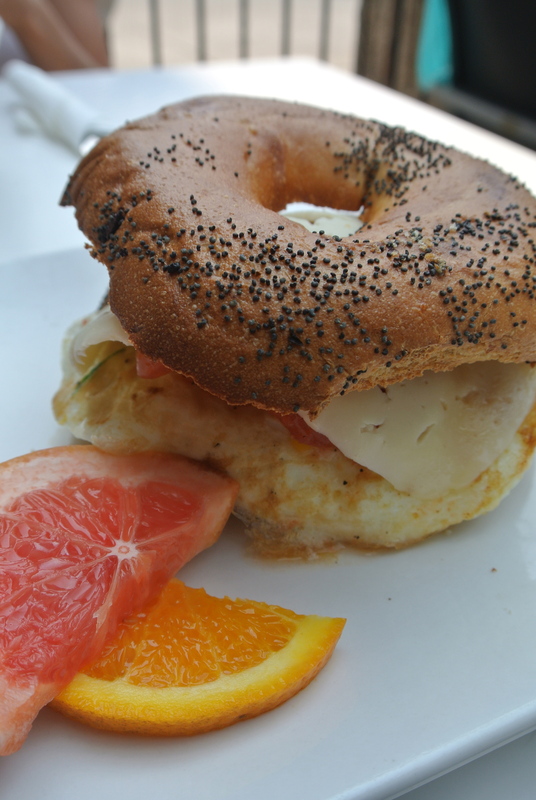 Made with pork and fennel, fried and then topped with the fried egg, a slice of havarti, roasted tomato and served on a toasted poppy seed bagel. 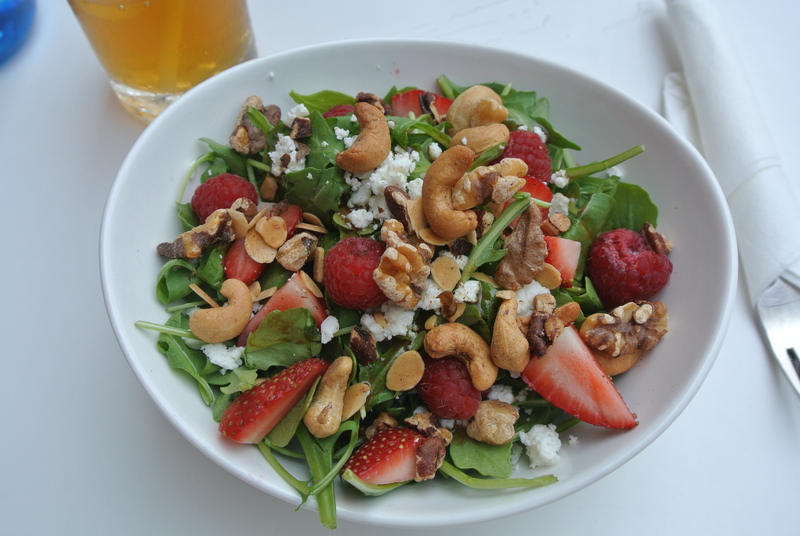 M’s arugula salad looked really fresh, with tons of strawberries, walnuts, cashews and feta. 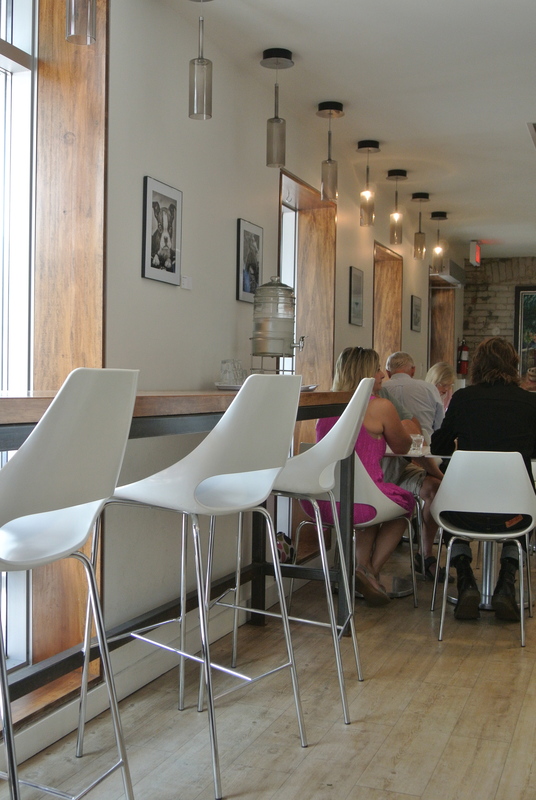 The food is definitely decent but what makes this place great is the local vibe it exudes. 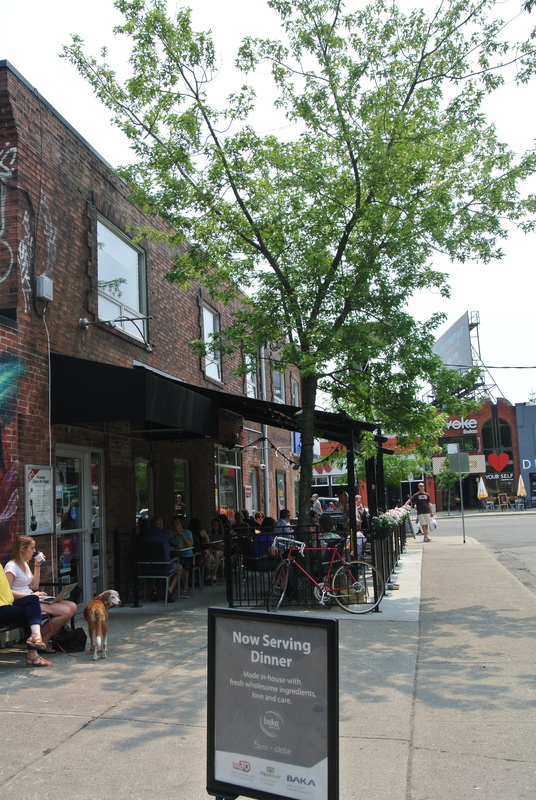 The entrance and patio of Baka Gallery Cafe. 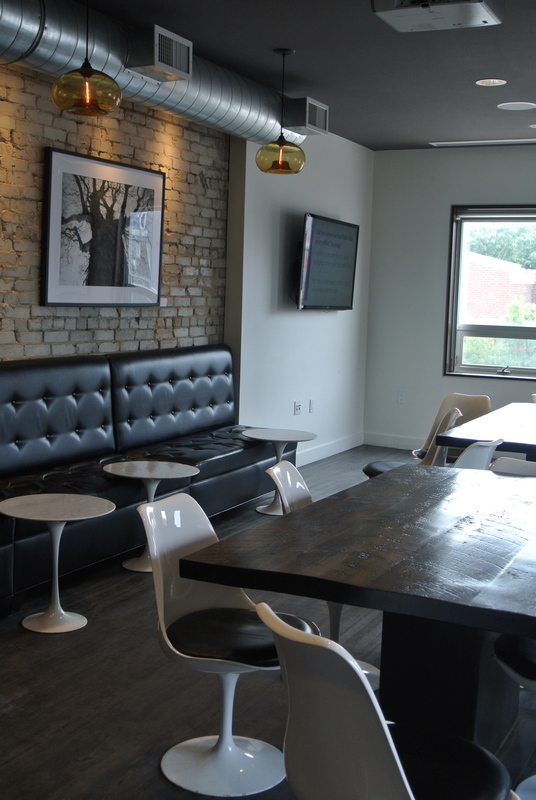 The 2nd floor seating space of the cafe. 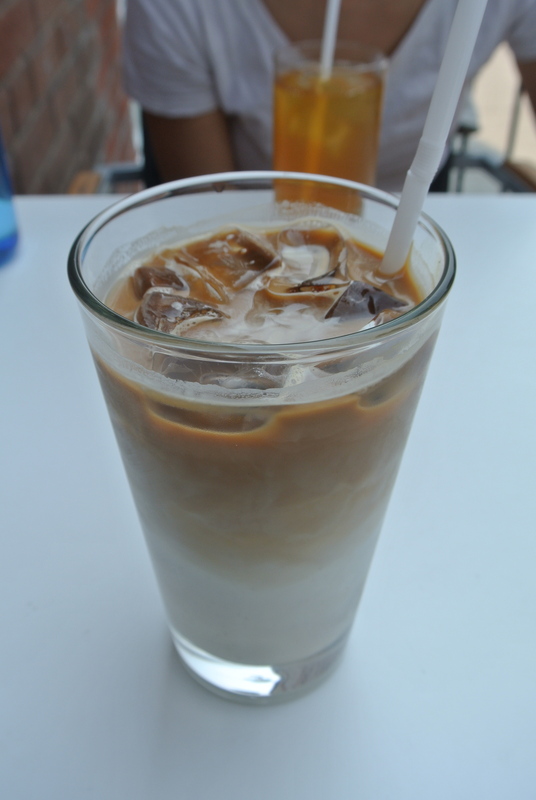 A large iced latte to stay. Thank you for visiting us naokoEats! Glad you enjoyed your time here!